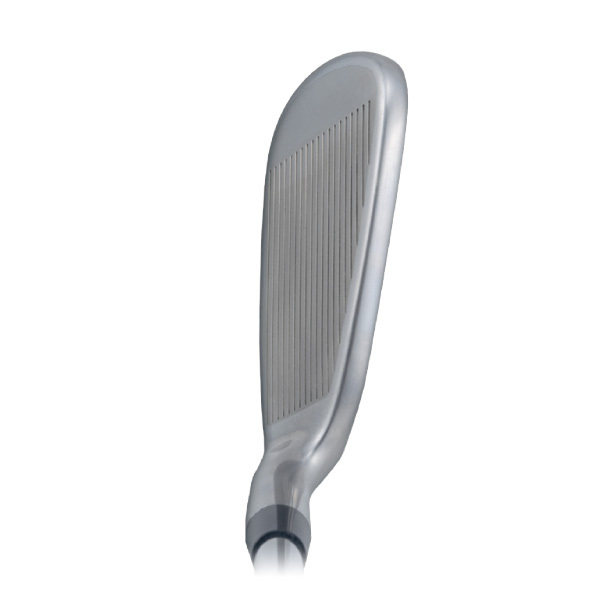 A 360º view of the 870TI Iron Clubhead. Tom Wishon talks about the 870 Ti Irons. This comment has caught my eye. I currently play and love the 771csi irons. I am a huge fan of your designs, and would be very interested in a new hi cor design that is even more forgiving. Is there a timeline on this new model? Hi, Tom. I know that these irons are older and discontinued, but they are my favorite and the bee’s knees. As such I’m hoping that you can possibly answer a question for me. 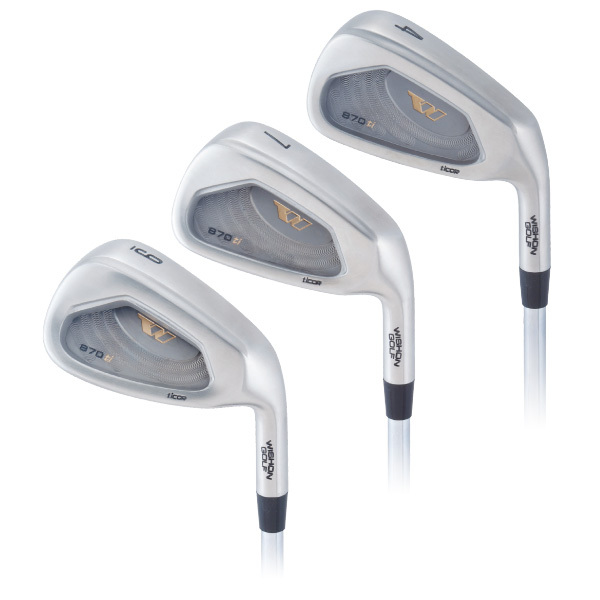 Why do you think that my 870ti 4, 5, and 6 iron fly higher for me than a comparable hot-faced hybrid? I know that there could be many things causing this, but can you comment generally on your high-COR irons and how the face flexing affects shot height? I’ve had the same experience with your Sterling lower-lofted hot-faced irons. Thanks very much for taking the time to stop by and ask your question. I too have always felt the 870s were one of the best irons I ever designed. The only thing ‘wrong’ with them was with the body made from 17-4 stainless they were really difficult to bend for lie or loft fitting requirements beyond a tiny tweak. That was in fact the biggest motivating factor for designing the 771CSI irons with a carbon steel body – although with those I had to use the high strength steel face and not the high strength Ti face because you can’t install titanium face plates into a soft carbon steel body without an increase in problems with faces coming loose down the road. I am working on what would be a successor to the 870s but they’ll probably be too expensive for most people to care about looking seriously into because they will be forged, they will have a titanium body to go with the same SP700 face, and they will have a ton of tungsten ($$) on the body to bring up the head weight to normal levels and move the MOI into the highest range ever seen on an iron. Anyway, on the shot height question, when the face flexes inward at impact, that causes the ball to be on the face a split second longer. During that mininscule more time on the face the ball has a chance to slide up the face a little more before it begins rolling and taking off. That increase in sliding up the face is what increases the shot height. And since the COR and the face construction of variable thickness is the same in the 870 as with the 771, that’s why both do the same thing for shot height. Thanks for the reply! The 870ti version 2 sound fantastic! This may be a loaded and/or unanswerable in any concrete way since golf is so personal, but what is your opinion on what could help the average golfer more- a uber-high MOI, variable length, iron set with a good VFT face, or a single-length set? Does the variable face thickness and high(er) MOI of a set like the 870ti’s outdo a single-length set without those features for distance and dispersion consistency? I’ve tried a short set of Sterlings that were a pretty good fit for me and I liked them quite a lot. Deliberating whether to take the SL plunge. Thanks again for your expertise and quality product and design! This’ll probably sound trite, but what helps the average golfer more is being fit PROPERLY. All of this great head design technology that abounds today is totally and utterly wasted when companies send golfers into retail stores to buy clubs off the rack that include 46″ drivers with no accuracy on lofts and no option for a different face angle, fwy woods that are also too long, hybrids that are too long and irons that have too low of loft. Honestly if you took today’s head designs and married them with the club assembly specs from the 1970s you would have a reasonably decent off the rack set. But in their insane quest to sell more clubs on the basis of hitting the ball farther the companies have made their assembly specs now prevent golfers from playing to their given abilities. And they get away with it because they can keep telling golfers, “Oh you know, golf is a hard game. Take a few lessons and you’ll be fine.” So golfers always blame themselves when they don’t play any better with new sticks they bought off the rack and the big companies just go on merrily on their way making crap golf clubs with decent head designs. If I had to pick one area for average golfer improvement it would be to be smart and buy the best SET MAKEUP for their ability. Meaning shorter driver with more loft. No 3-wood with the fwy wood set being #4 and #7, both shorter as well. No iron lower than a 7 iron and for some who are higher in clubhead speed and a little better, no iron lower than a 6 iron. 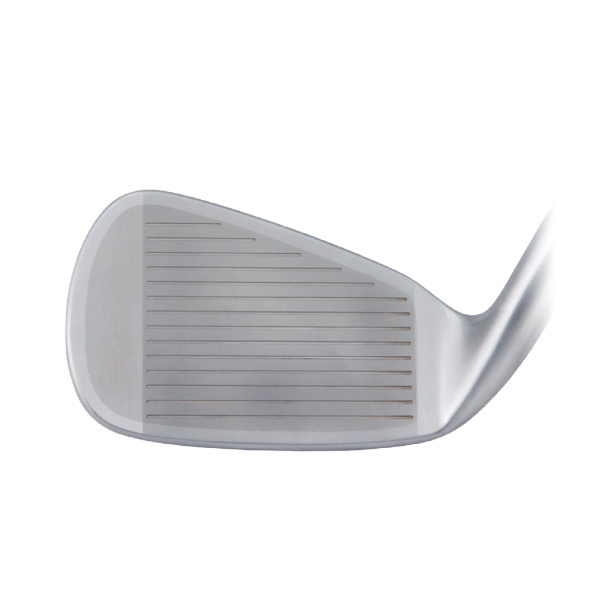 With hybrids made to iron length being above the 7 or 6 iron in the bag. All this crazy move by the big companies to keep lowering loft so they can fool golfers into thinking they hit the ball longer with their new irons is BS. It just makes it so average golfers struggle to hit the #3, 4, 5 and 6 irons high enough to fly and carry properly. So to me, set makeup would be a big way to help the avg player. But in the end, it really is being fit properly because good fitting really will help the avg player far more than it will help the good player. This comment has really caught my eye. I currently play and love the 771 csi irons. I’m a big fan of your designs and would love to see a hi-cor design that is even more forgiving. Is there any timeline on this new design being released? Thanks for the reply, Tom. I’m looking forward to it. Also want to give a shout out to Moe Hickey of Annapolis, MD at Clubs by Moe. He built my 771csi set, as well as a 14* 919 f/d, 950hc 5 wood, a full set of 775hs hybrids, and a full set of 590 dih driving irons. I have a nice mix and match of your clubs for any playing condition, and those clubs and a proper MOI match fitting by Moe have done wonders for my game. Always interested to see what designs you come up with next. Are they still available and if so at what price and how are they shafted? The 870Ti irons were discontinued several years ago to make room for the 771CSI high COR iron design. Please understand that all of the clubhead designs that I create for Wishon Golf are only custom fit by independent custom clubmakers around the US and world. There is no such thing as a standard shaft or grip for any of my designs because I only want my models to be custom fit, one set at a time for one golfer at a time. I recommend you head to the FIND A CLUBFITTER search tool to put in your location and see if a competent clubfitter is located in reasonable proximity to where you live. If so, call him to inquire about his services and pricing and then decide if you wish to go through a fitting analysis to have the fitter determine what your best fitting specs for the clubs would be. Scott, wondering if you still have the 870 ti iron set for sale. I am sorry but we discontinued the 870Ti about 2 years ago after it had been a good part of our product line for around 6-7 years. Sometimes I forget that the big companies tend to only get 1 year out of a new model once it is introduced. I think about the only way one can find a set of the 870s is to hunt on Ebay. Ebay is the second largest golf retailer in the world now so you never know what you can find there until you search. I love my 870ti clubs. So forgiving and so long (thanks to Rich Hurley, the world’s best fitter). But now I want to add a 5 iron to my bag and the club’s are discontinued. I tried eBay and other online sites to find a used one without success. 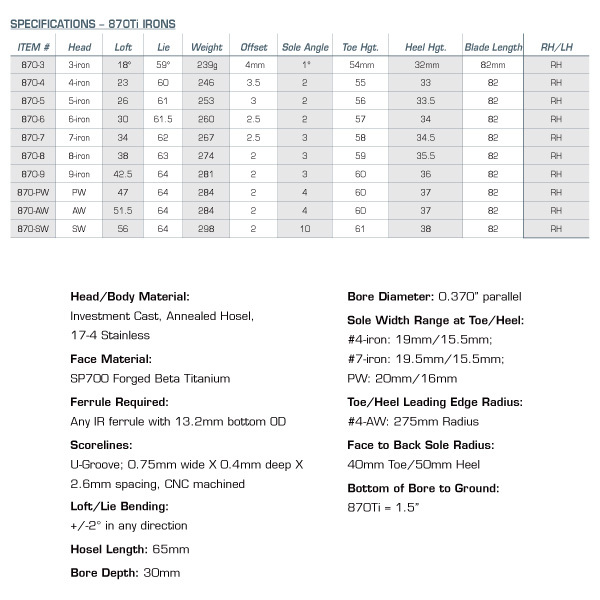 If I was to buy a single iron from current stock, which model would have the most similar characteristics and feel? I am very sorry but we discontinued the 870s long enough ago that all the remaining odds and ends of inventory have been sold or liquidated. If you tried the online sites to no avail, I am sorry we can’t help you. In that case, the model most close to the high COR variable thickness face design of the 870 would be the current 771CSI. it’s not quite as large in head size as the 870, but the performance is right there at the same face performance level. I have a 3,4 and 5 iron that have very little use and would be willing to sell if interested. Do you have any of these club heads left in stock that I could order through my fitter? I am sorry but we have no more inventory of the 870Ti irons in our warehouse. When we discontinued the model a few years ago, we liquidated all inventory of these heads. About the only thing we can suggest is to search on EBAY to see if there are any sets circulating there.